I went for a prowl with some Predatorz, I can't think of a cooler way to spend an afternoon! It really helped me to understand the desire to "Stance" a car. It's not about you alone, it's about your community, and I think these guys have the concept and execution in order. This side of Car Culture is about making a statement. 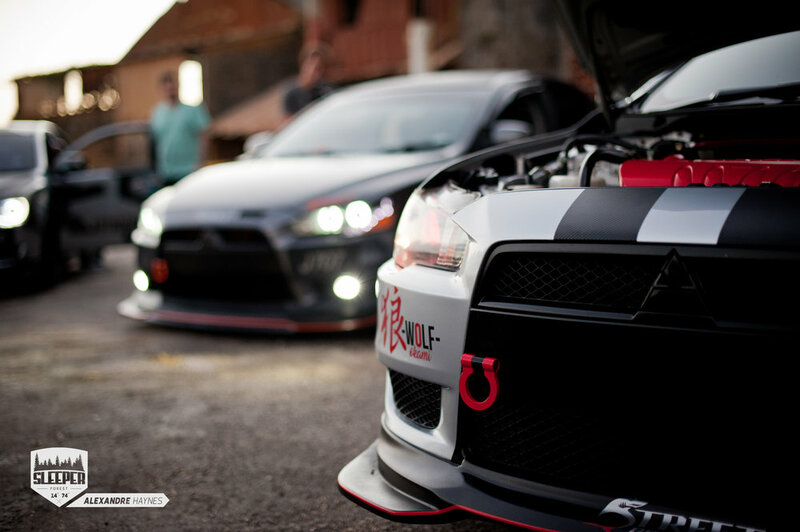 Picture yourself rolling with 5 heavily Modified Mitsubishi Lancers, sure one can start to break necks, but 5 whips out phones. 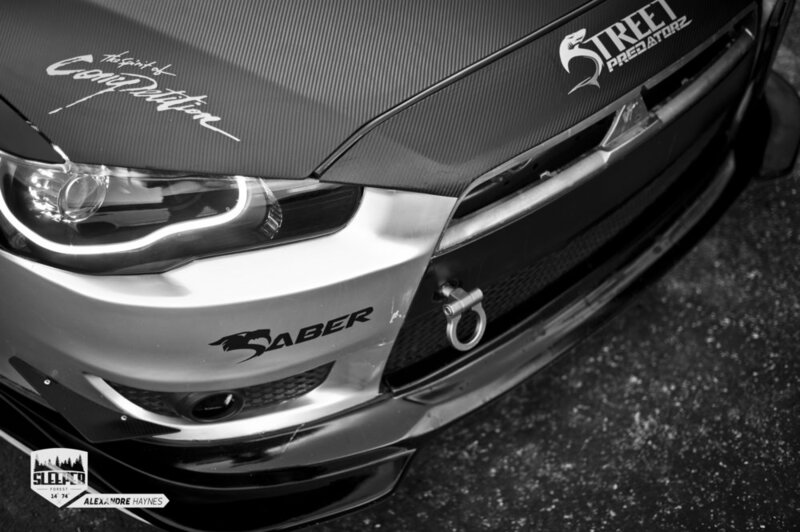 We had a run in with Saber aka "Wrap God" a few weekends ago so we were acquainted with the idea behind Street Predatorz. Actually being on a drive with them is a totally different experience. It's a goal of my inner 10 year old. I can check that off the list. Thanks guys! I can die a happy man! Street Predatorz as a group was formed August 21, 2012 and it started with 2 members. Jevon Lashley the Driver of Fury and Jason Gamble. 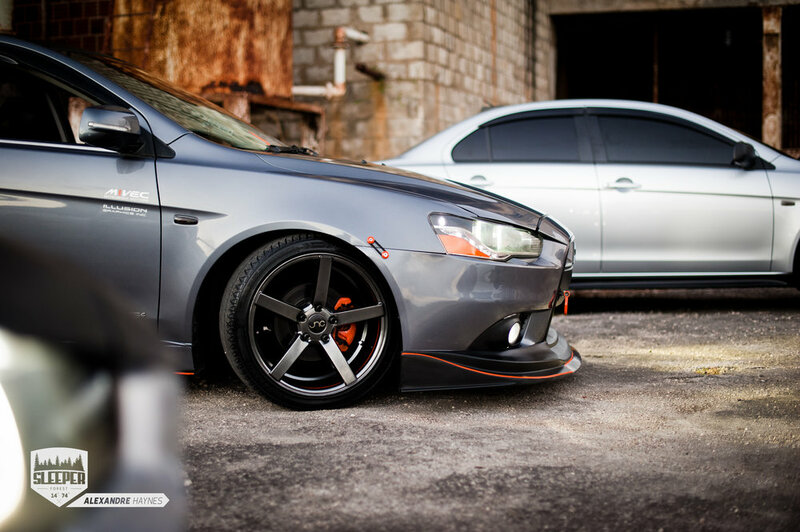 They shared a mutual love for this late model Mitsubishi Lancer. Over time the group grew rapidly. They stand at 28 members at the time of writing. They are persons who recognized the potential of this car and wanted to express that vision. They really have come a long way. This group has been spearheading not just car modification but community. It's amazing how much they stick together it's not just about the car, it's about the culture you want to build behind them, and this bleeds out from their interactions with others to how they welcomed me into the group to photograph their cars. That afternoon, I was behind the scenes of a video highlighting the cars and group. This was sponsored through Automotive Art, one of the leading brands in the Caribbean who deal with a wide range of car products, from aftermarket accessories to materials needed to rebuild or repair aspects of the car itself. As a group, Street Predatorz has been turning the right heads and going in the right direction with how they meet and build the awareness of the group. We all know project cars are never ever finished, so don't believe the person who says "It's Finished", that's a lie! 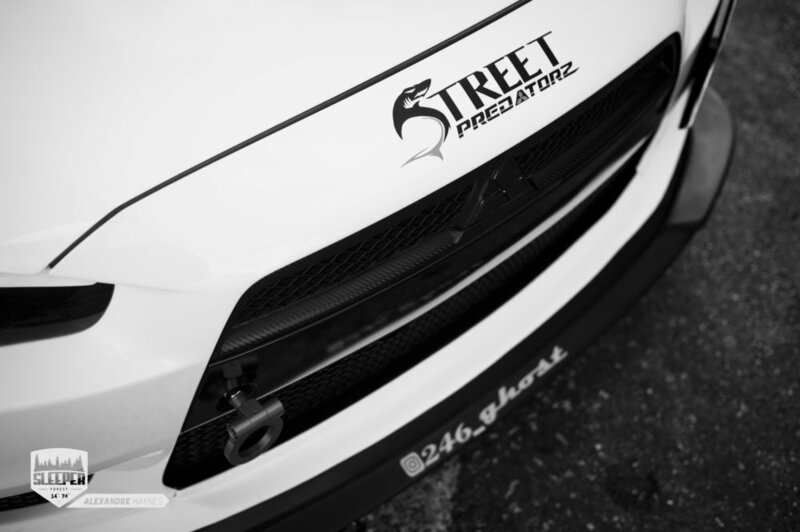 Street Predatorz are here as a facility for those who also own Lancers to help exchange ideas and give input on the direction to take with either the aesthetics of your car or performance. 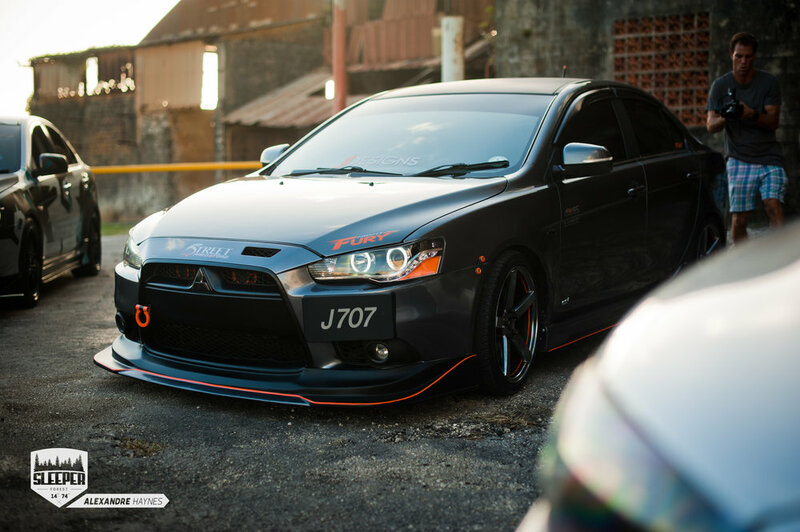 They hosted their first Mitsubishi Owners Day, MOD, at Sky Mall in Haggatt Hall earlier this year which was a major success as it was well received by the community here on the island. Intentions are to host a bigger even better one. They are also looking to partner with brands in order to get this done. Reaching outside their immediate group, they are looking for ways to give back to the community as well through charitable events. Without exception though, this group has faced and may face challenges in the future. Lancers are a dying breed and are slowly rising on the endangered list. Mitsubishi has not announced a new model or reiteration of the Lancer line of cars. This may prove a little problematic in terms of aftermarket support, but this works two ways, because these cars once well maintained will become a rarity, and a gem on the roads when you see them. Alpha predators change and adapt to their environments, this is what keeps them at the top of their game and like alpha predators these guys will find a way to keep on changing and growing. So look out on the streets and make way when you see these cars coming.These guys are on a mission!